If you’re like many financial advisors, you may be unsure how social media—and Twitter in particular—can help you market your business. First, it’s important to keep in mind that social media is intended to be an add-on to your existing marketing plan. That is, you’ll get the most out of your Twitter activity when it’s integrated into the rest of your marketing strategy. But where do you start? How often should you post? And how do you get clients and prospects to engage? To help answer these questions, I’ve compiled some best practices for using Twitter to market your firm. So, whether you’re just starting out or need a refresher, the steps outlined below can help you be strategic and successful on Twitter. To get started on Twitter, the first step is to customize your profile. Pick a unique username. Your username should clearly identify who you are. Here, you’re limited to 15 characters. Select images wisely. For your profile picture, you’ll want to use a professional head shot (recommended size 400 x 400 pixels). This can be the same image that’s used on your website or your LinkedIn profile. Your header photo, on the other hand, is the larger image that will appear at the top of your profile page (recommended size 1,500 x 1,500 pixels). Here, you might choose an image with your company logo or one that portrays your business. Add details. To complete your profile, be sure to include your full name (i.e., as it appears on your letterhead), biography, firm location, and web address. Remember, your biography should include your title, your specialization, and your company name. Being on Twitter (or any social media platform, for that matter) means that you must be social. Simply posting or retweeting content is not going to help you build relationships. You must engage! Use Twitter’s search bar to find relevant keywords or influencers whom you can follow. For example, if you specialize in retirement planning, do a search for “retirement planning." You can even search with the hashtag #RetirementPlanning. Scan posts to find content that you can retweet, and add your own comments to personalize. When people engage with you, follow them back if they are genuine followers. You may want to set up guidelines to determine when this is appropriate. For example, media outlets, industry influencers, current clients, and colleagues are great people with whom to connect. It’s also a nice gesture to thank new followers with a @reply back. This adds a personal touch and instantly opens up the line of communication. Provide insightful, meaningful content that your audience will enjoy reading (within Twitter’s 140-character limit!). This can involve a mix of original content and posts by others. Also, try to expand your focus beyond yourself and your company. You want to give other industry experts love, too! Further, think about posts that encourage your followers to ask questions and interact with you—this is what social media is all about. Tip: When you add a link, your allotted character limit is reduced to 117. Twitter is a fast-paced outlet, meaning you need to post on a consistent basis to be noticed. Start by posting once per week and then work your way up to at least once per day. If you’re having a hard time finding new content, tweak your existing posts. For example, say you write two blog posts per month. You can then create multiple tweets with different copy that link to the same blog post. Then, post those tweets a couple times throughout the month. This strategy helps you tweet frequently while increasing traffic to your blog. Because people go on social media throughout the day, try posting at different times and days of the week to determine when content performs best. Interacting with people on Twitter regularly makes them more likely to engage when it matters most to your business. Talk with people instead of at them. For example, ask a question that invites followers to @reply back in response. This is an easy way to start a conversation in which you can then @reply back to them. Engage with others by replying back to their tweets. Include Twitter handles whenever you are referencing a person and/or another company. This increases the chance that the person or company will retweet you. Use hashtags (#) to highlight the most important words and themes of your post. This helps other users find your content, even if they don’t follow you. 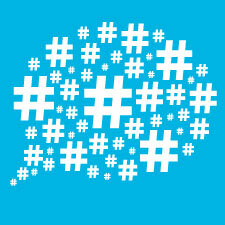 Don’t stuff your posts with hashtags—one or two is enough! Capitalize individual words to increase readability (e.g., #EstatePlanning). A social media planning calendar is a great way to plan out your social media posts each week. It can include important dates, upcoming events, and articles or blog posts. Your calendar isn’t meant to be set in stone, but it can help you lay out what types of posts might be worth sharing. There are several social media management tools that allow you to schedule posts in advance. One that I prefer is Sprout Social. Just remember, even if you schedule your posts for the week, don’t just “set it and forget it.” You’ll still need to log in daily to engage with other users. The only way you’re going to know if you’re successful on social media is by measuring your results. Are you looking to drive traffic to your website? Look at posts with the highest number of clicks. Is your goal to increase engagement? Then review those posts with the most retweets and likes. Sprout Social and Twitter both offer comprehensive analytical reports for you to measure the success of your posts. By figuring out which types of posts don’t get clicks or retweets, you can adjust your schedule and share the types of content that better suit your audience’s needs. Twitter is a great tool for sharing insightful content and engaging with other users. Just remember that before using any social media platform, it’s important to first establish clear, measurable goals. Do you want to increase brand awareness? Connect with clients? By implementing the strategies outlined here, you can use Twitter as an effective marketing tool to help achieve your desired goals. Have you successfully engaged prospective clients using Twitter? Do you schedule posts or use reports to measure your success? Share your comments below!